Why, then, are personal testimonies so popular? One reason could be that many people see personal experience as the chief determinant of spiritual beliefs. I cannot count all the times I’ve heard people defend a particular practice, belief or interpretation of Scripture by referring to personal experience and nothing else, as if what they have seen, felt, heard and thought constituted the final word on the matter. Many a time I have heard people actually ignore a pertinent biblical text and fall back on their personal experience to support their view. Instead of establishing what is true based on something impersonal and objective—the biblical text—truth is often determined by what is personal and subjective. Unfortunately, this mind-set has been carried over into the use of personal testimonies in evangelism. Just listen to my testimony, so the thinking goes, and my personal experience will convince you of the gospel. The root cause of this could lie in our natural, fallen nature, which predisposes us to shape our religion based upon the dictates of our own hearts rather than divine revelation. That is recorded in Romans 1: God has revealed Himself to all of humanity, but humanity has responded by rejecting that revelation and worshiping gods of their own making. This tendency to reject revelation in favor of our own thoughts and desires is as dangerous as it is sinful, and we as fallen human beings must always watch out for it. Could it be that the heavy reliance on personal testimonies today is the result of this tendency? If so, are we not drifting away from the Word of God? Another reason for their popularity could be that they are easy. It is much easier to tell one’s own story than it is to become well-versed in the truths of the gospel. Although this was mentioned in Part 1, it is worth repeating here: The best training for evangelism is theological study. This does not have to be lengthy, expensive seminary training but a basic—and solid—grounding in the truths that comprise the gospel message, such as what God is like, who Jesus is, the resurrection, the virgin birth, what faith is, what repentance is, how sin is atoned for, and so on. This takes some work, but what child of God would not take delight in learning them and sharing them with others? If we value personal testimonies because they are easier than studying the theological content of the gospel message, are we not drifting away from the Word of God? Personal testimonies are also easy because they are risk-free to a great extent. They are safe. My own personal story is far less likely to draw antagonism and hostility than the story about Christ. Why? because my personal story will come across as just one more personal account out of countless others, no better than anyone else’s. It is purely subjective. Why should the unbeliever regard my subjective experience as superior to that of a non-Christian? Another reason is that there is nothing about my personal testimony that commands people to believe in Jesus Christ and repent of their sins. It simply conveys that I have believed in Christ and repented, and it implies that the hearer would benefit by doing the same. It is more like a television commercial trying to get someone to “buy” the gospel, with the testimony-bearer saying something like, “I used to be unhappy, lonely and depressed, but since I accepted Jesus, my life is so much better. So give Jesus a try—you won’t be sorry.” That is easy and safe because it presents no terrible consequence if one does not believe and repent. It simply offers something positive that will satisfy our natural desires. The story of Christ, on the other hand, can be greatly offensive precisely because it has supreme authority: Because God the Son took on flesh, bore the sin of the world and rose from the dead, all of mankind has a duty to respond to that ultimate sacrifice in faith and repentance. The gospel is not a slick commercial that tries to appeal to a person’s desires and lusts; it is the authoritative command to repent of sin and believe in Christ because of what God did at Calvary. It is the story that tells people that there is only one way of salvation that God has given mankind, and woe to us if we neglect so great a salvation. The gospel presents a somber ultimatum to the world: Repent or perish! Now that is a story that can definitely draw hostility. If our reason for relying on personal testimonies is to avoid the hostility that can and will result from sharing the gospel, are we not drifting away from the Word of God? In addition to the problems already mentioned, there are others to be concerned about. For one thing, a personal testimony is not divine revelation, but divine revelation is the only way a person can know anything about God. Had God not revealed Himself to us through creation, Jesus Christ and Scripture, we would have no way of knowing a single truth about Him. We are unable to arrive at a single bit of knowledge of God apart from God condescending to us, making Himself known to us on our level. We cannot rise up to God to learn about Him on our own. If God did not stoop down to our level, we would have never learned a single thing about him. The gospel is part of God’s revelation and therefore absolutely indispensable for anyone to come to a saving knowledge of Christ. Do you see, then, the extreme importance of divine revelation for the unbeliever? If we give priority to something that is not divine revelation, however, while putting the revelation of the gospel on the back burner, are we not drifting away from the Word of God? Another problem is that personal testimony is subject to human error, such as forgetting details over time, or unintentional (or intentional) embellishment. The more time has elapsed since an event, the more unclear its memory becomes, and consequently the easier it is to inadvertently embellish it or leave out details. Even worse, there is also the risk of deliberately embellishing one’s testimony to make it more dramatic. One might feel that one’s conversion experience lacks the excitement of such dramatic conversions as Paul’s, who was rescued from a background of heinous sin, and consequently might spice up his testimony to make it more interesting. Finally, people of other religions also can come up with positive, uplifting personal testimonies of their own. They can easily describe how their particular religion enhanced their lives, making them happy and content. They can extol their religion by recounting, for example, how they had been on a long and dark search for the truth, but when they discovered their religion, it seemed to them that all their darkness and confusion vanished. As with friendship evangelism and the sinner’s prayer, the massive popularity of the use of personal testimonies in evangelism is inversely proportional to the amount of biblical support for it. In other words, the use of testimonies for evangelistic purposes is enormous, but biblical support for that purpose is minuscule. Of course, sharing the circumstances of how you came to Christ is not wrong. In some cases there may be a place for it, such as in a small group gathering of other Christians or at church before the congregation. Even then, however, their use should be limited because the gospel message is what the church needs to hear over and over again. Even those who have been followers of Christ for many years must still hear the gospel preached, not to be saved over and over again but to continue in faithful service to Christ and ongoing repentance. Ultimately we must always remember that God’s testimony is greater than our own, and the story that matters most is the story about Christ, the gospel message. We should be eager to point people away from ourselves and toward Christ, just as John the Baptist always did. Spurgeon: Feeding Sheep or Amusing Goats? A friend recently shared this gem spoken by Charles Spurgeon, and I thought it should be posted here. Even though it was spoken more than a century ago, it seems that it applies to many of today’s churches. My first contention is that providing amusement for the people is nowhere spoken of in the Scriptures as a function of the Church. If it is a Christian work why did not Christ speak of it? “Go ye into all the world and preach the gospel to every creature.” That is clear enough. So it would have been if he had added, ‘and provide amusement for those who do not relish the gospel.’ No such words, however, are to be found. It did not seem to occur to him. Then again, “He gave some apostles, some prophets, some pastors and teachers, for the work of the ministry.” Where do entertainers come in? The Holy Spirit is silent concerning them. Were the prophets persecuted because they amused the people or because they refused? The concert has no martyr roll. Again, providing amusement is in direct antagonism to the teaching and life of Christ and all His apostles. What was the attitude of the Church to the world? “Ye are the salt,” not the sugar candy something the world will spit out, not swallow. Short and sharp was the utterance, “Let the dead bury their dead.” He was in awful earnestness! Had Christ introduced more of the bright and pleasant elements into his mission, he would have been more popular when they went back, because of the searching nature of his teaching. I do not hear him say, ‘Run after these people, Peter, and tell them we will have a different style of service tomorrow, something short and attractive with little preaching. We will have a pleasant evening for the people. Tell them they will be sure to enjoy it. Be quick, Peter, we must get the people somehow?’ Jesus pitied sinners, sighed and wept over them, but never sought to amuse them. In vain will the Epistles be searched to find any trace of the gospel of amusement. Their message is, ‘Come out, keep out, keep clean out!’ Anything approaching fooling is conspicuous by its absence. They had boundless confidence in the gospel and employed no other weapon. After Peter and John were locked up for preaching, the Church had a prayer meeting, but they did not pray, ‘Lord grant unto thy servants that by a wise and discriminating use of innocent recreation we may show these people how happy we are.’ If they ceased not for preaching Christ, they had not time for arranging entertainments. Scattered by persecution, they went everywhere preaching the gospel. They ‘turned the world upside down’. That is the only difference! Lord, clear the Church of all the rot and rubbish the devil has imposed on her and bring us back to apostolic methods. Lastly, the mission of amusement fails to effect the end desired. It works havoc among young converts. Let the careless and scoffers, who thank God because the Church met them half-way, speak and testify. Let the heavy laden who found peace through the concert not keep silent! Let the drunkard to whom the dramatic entertainment had been God’s link in the chain of the conversion, stand up! There are none to answer. The mission of amusement produces no converts. The need of the hour for today’s ministry is believing scholarship joined with earnest spirituality, the one springing from the other as fruit from the root. The need is biblical doctrine, so understood and felt, that it sets men on fire. 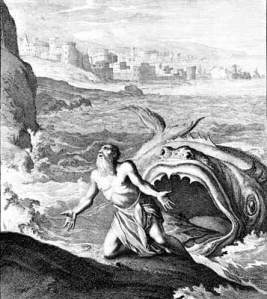 Jonah realized it was not his place to choose the audience of his God-given message. We should realize it, too. In my last post, I pointed out that friendship evangelism actually makes the Great Commission harder, yet that is not all there is to it. Another unfortunate aspect of this approach is that it limits the audience of the gospel to those in one’s immediate sphere of influence, i.e., friends, relatives and coworkers, ignoring an enormous segment of society: strangers. This distorts the Great Commission, whereby Jesus commanded His disciples, “Go into all the world and preach the gospel to all creation.” (Mark 16:15, NASB). He did not say, “Go into your immediate sphere of influence and preach the gospel to your friends, relatives and coworkers.” Those people, though certainly important, make up only a minuscule subset of our society. There are hundreds—thousands, even tens of thousands—of people out there who need to be reached with the gospel, so how can we limit our target audience to a mere few? Jonah, who thought he could choose the audience of his preaching, eventually realized that “Salvation belongs to the LORD” (Jonah 2:9, ESV). Do we believe that? Let’s stop editing God’s command to bring the gospel to all creation. There are multitudes of lost souls who know so little—so very little—about salvation, and they desperately need us to proclaim the good news to them. 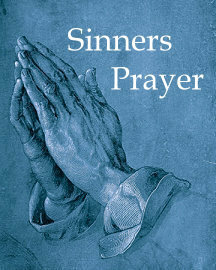 I asked a young man once on the street if he knew how sin is eliminated. He did not know that it is by the blood of an innocent sacrifice that God forgives sin. Who knows what other essential truths of salvation he didn’t know? Let’s obey God’s command—His simple command—to bring the gospel to everyone. As I mentioned in one of my earlier posts, friendship evangelism is a popular method of outreach in much of today’s evangelical church. In fact, it is more than just popular: It is the default approach, so much so that it usually seems to be assumed rather than biblically justified. Contrast that with the approach that one finds throughout the Bible—proclaiming God’s message to strangers in public places—which is scarcely mentioned nowadays. There are probably many who will disagree with me, but I am convinced that the primary reason for friendship evangelism’s popularity is because it seems easy. After all, evangelism is far less daunting when you share the gospel message with someone who has already accepted you, isn’t it? A friend is less likely to reject you than a stranger, right? That makes friendship evangelism easier than sharing the gospel with strangers, doesn’t it? Not really. Ironically enough, it is actually friendship evangelism that is harder. The longer you are in a friendship with someone, the more reluctant you are to do anything that might jeopardize that relationship you so enjoy. It’s just human nature: We will do our utmost to hold on to something that is near and dear to our hearts, so proclaiming the gospel to our friends will be moved further down our list of priorities as time goes on. The polar opposite to friendship evangelism—outreach to strangers—while feared by many, is actually the easier approach because fearing the loss of the relationship is not a stumbling block. If a friendship does not exist, it cannot be lost. God’s commands truly are not burdensome, and this is just as true with the Great Commission as it is with any other of God’s commands. Yet friendship evangelism actually makes the Great Commission harder than it has to be. What God has made simple, we make difficult and complicated because we think we know better than the Giver of the command and set ourselves up to be God’s editors. Our disobedience, our rebellion, and our sinful tendency to rewrite God’s commands are the greatest evangelistic difficulties we Westerners face. I wanted to code the site from scratch so as to learn as much as possible about what goes on “under the hood” of a web site. So, with nothing more than a couple of text editors (Notepad++ and Aptana Studio), some books and my own google-fu, I created the gospel quiz.